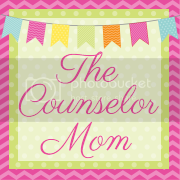 The Counselor Mom: Holiday Toys! It's the holiday season and people have been asking me for toy recommendations. Since I'm a play therapist, I should be in 'the know', right? Well, not so much. It's more that I am 'in the know' since I'm a mom now, and just 'in the know' for preschool girl toys to be exact. The thing about play therapy is that we are BIG on creativity and letting kids lead play. So we don't have 'characters' in our play therapy rooms like Disney or Nickelodeon. 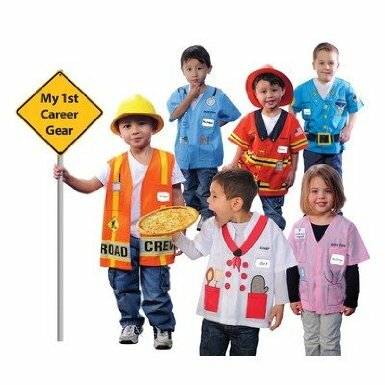 Or when it comes to dress-up, we don't have Batman capes and masks, just the plain old black ones, and generic costumes like firemen, police officers, etc. Having all of the toys from a movie or cartoon would greatly limit a child's creativity and self-expression. Just imagine if we had the whole Star Wars or Harry Potter set of toys, a child would walk into the room, run over to the stuff and start acting out the movie. Or if we had Cinderella dolls and dress up, guess what the little girls would start acting out? The mean step-family, Cinderella getting ready for the ball and marrying the Prince. Not a lot of increasing self expression, right? It would just be them re-inacting a movie. Now don't get me wrong, I love movie and TV gear, in fact my child wants the Doc McStuffins and Minnie Mouse toys for Christmas. But when it comes to the latest and greatest toys, us play therapists are more likely to go for the neutral zone. So I try to have mostly creative toys with a few movie and TV character pieces at home for my kids. So, as I have listed on here before, (sorry to repeat myself from the last holiday season), I am going to list a few faves that are good all around creative toys to have that will last a long time. And no, some are not cheap, but again they will last until your child goes off to college, okay, maybe not, but they will last a super long time. Happy shopping! Blocks are huge. 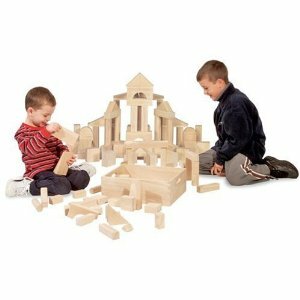 EVERY single play therapy session I have, a child will build something with blocks and it almost brings me to tears at times to see how a quiet sheltered child, will all of a sudden create a huge masterpiece of a 'building' out of blocks. I love seeing what can become of a plain old brown piece of wood! 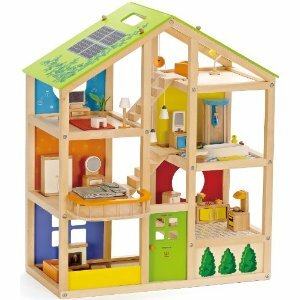 Now, for those moms of boys out there, I know you are a little apprehensive about buying a doll house for your son. But the super gender neutral ones are great, and there are a lot out there now that are 'green' looking. And your boys can use different 'characters' to play with in their house, and not dolls. 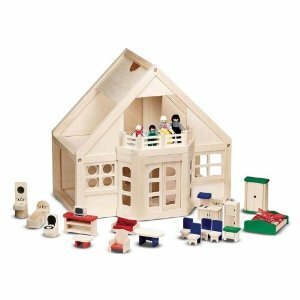 The less is more philosophy is best for the doll house, that way children can use even more of their imagination! What home doesn't have a kitchen? 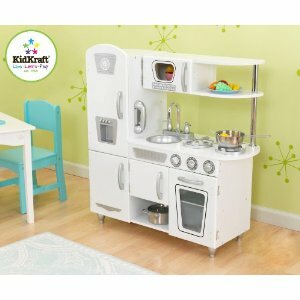 Children love to act out what they already have at home and kitchens are a huge hit. Boys are chefs too and love to pretend they are washing dishes, cooking and grilling like their dad. This one is a good gender neutral color as well and fits in small spaces. I know I have blogged about these before, but they are still one of the all time faves of my clients. 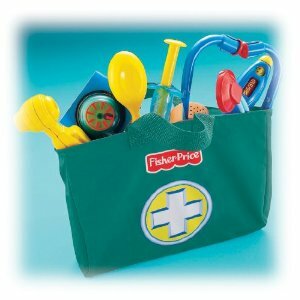 Kids LOVE using these doctor kits and my daughter still plays with hers a whole year later. So what are you planning on getting your kids for Christmas/Hanukkah this year? My 2.5 year old daughter wants a tricycle, and a pink one at that! And Doc McStuffins toys.